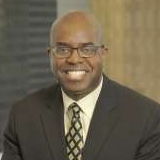 Lincoln E. Greenidge is the Vice President, Finance and Controller at Enirgi Group Corporation. Enirgi Group Corporation They are a private corporation with four unique divisions that own and operate world-class assets and operations located around the world. Enirgi Group is committed to sustainable growth. Lincoln’s keeps a strong focus on continued improvement, positive cash flow generation, finance, operations and developing talent. Lincoln's success is also attributed to putting people first and a passion for motivating team members to increase productivity. Lincoln has written 3 articles which have been published. "People, Progress, Technology" - PULSE -July 8th, 2015, "Spring Cleaning for Accounts" - PULSE - June 4, 2015 and "End of Goodwill Accounting" - PULSE - April 22, 2015. He supports causes important to Lincoln are the Make a Wish Foundation and Retinoblastoma.